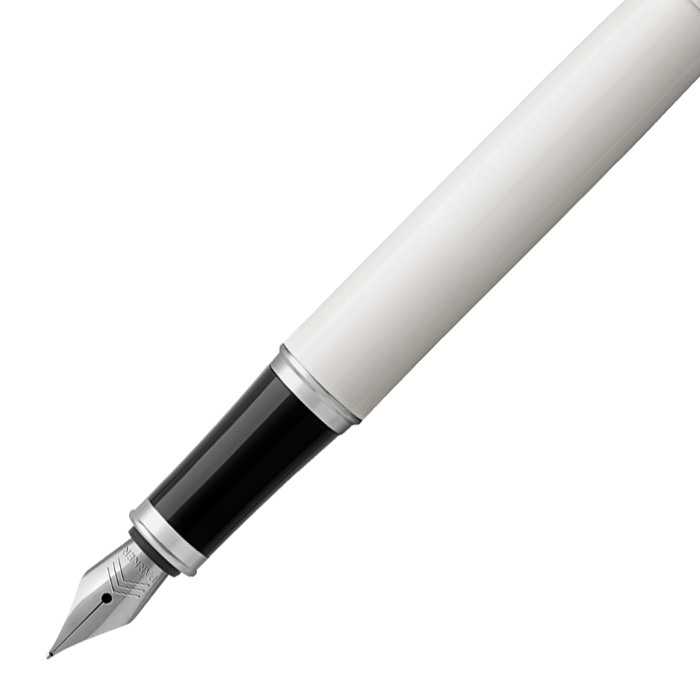 Highly professional and reliable. 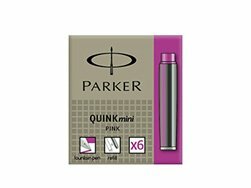 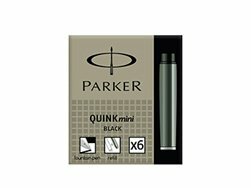 An ideal partner with unlimited potential, Parker IM is all at once smart, polished and established. 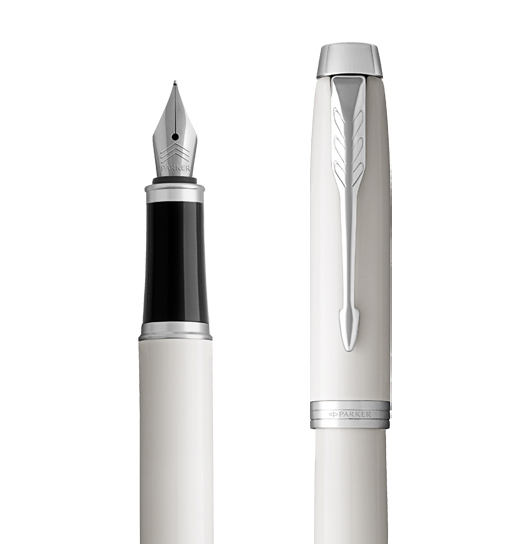 With a durable stainless steel nib and finishes that echo the Parker legacy, every detail is refined to deliver a writing experience that is always dependable. 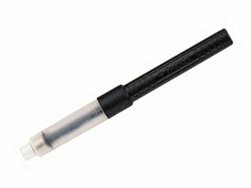 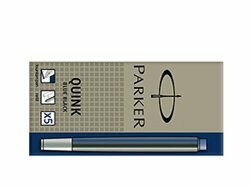 Parker IM White CT Fountain Pen is well suited as a gift for every occasions like Christmas gift or for any anniversary. Every Company can make a realy nice Parker gift out of this for employees or for advertisment purposes. 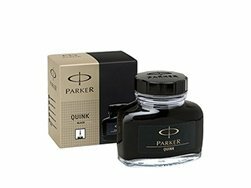 You can refill this Fountain Pen with Parker Ink cartridges or Parker Ink in bottle. 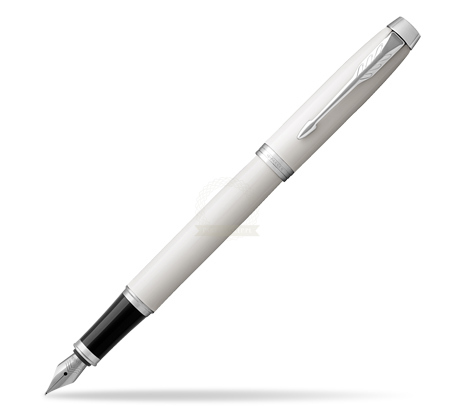 On our website you can find Rollerball Pen and Ballpoint Pen matching the set. 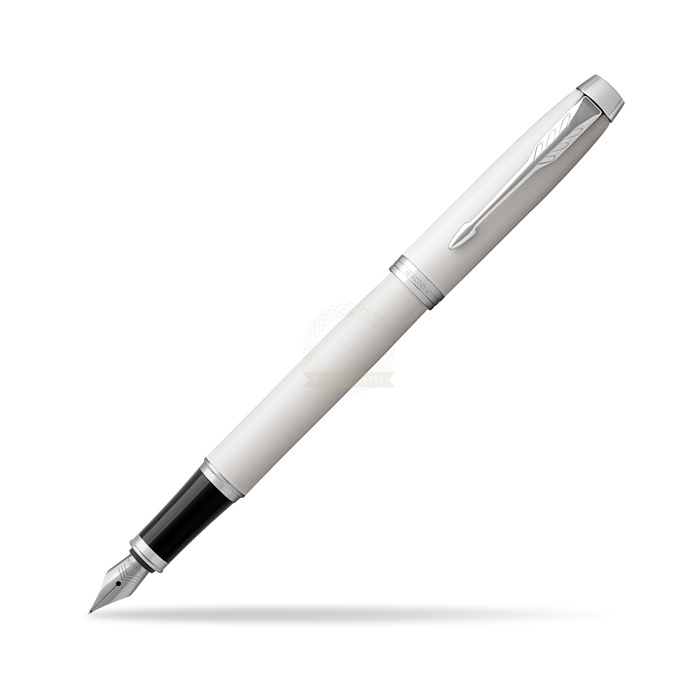 Glossy white lacquer complemented with chrome finish trims. 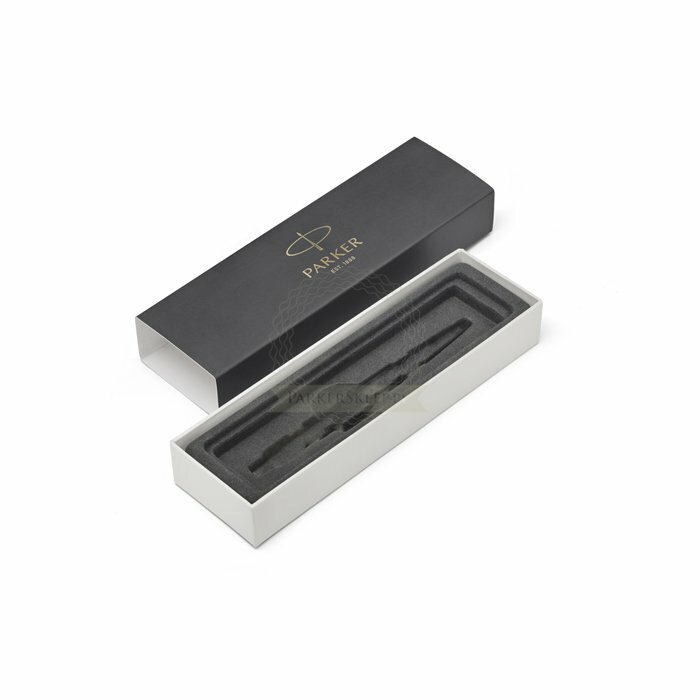 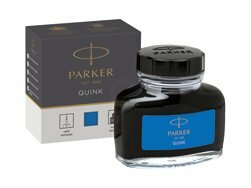 Packaged in a Parker gift box.This Fountain Pen comes with nib size F. One ink cartridge included in random blue or black colour.